Must be present to win at awards. Must have a valid receipt within 30 days of tournament. Bryant Kendall has a passion for bass fishing and the growth of the sport. He brings along a lifetime of fishing experience and an overall enthusiasm for the outdoors. 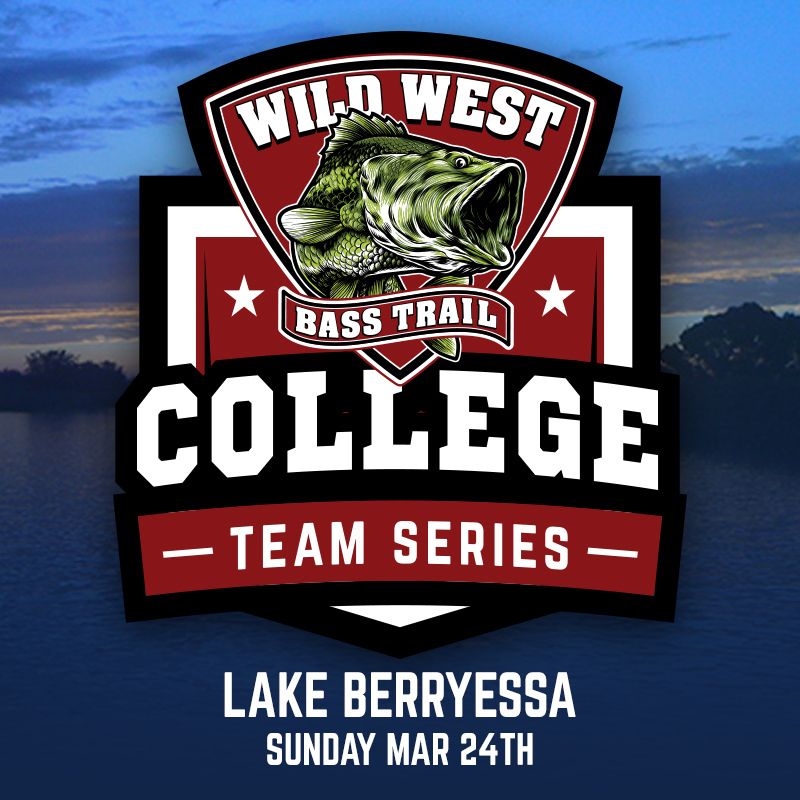 After graduating from Humboldt State University with a BA in Recreational Administration (2008), he has been fishing tournaments on the west coast from club to the Pro/Am level and has developed a true excitement for the development of competitive Bass fishing for the next generation. He looks forward to being part of something that will allow the young anglers of this bass fishing community to showcase their skills and build a future on and off the water. The following rules shall apply to all Wild West Bass Trail (WWBT) events. Rules for special tournaments may differ from those contained herein. These rules may be changed by WWBT immediately upon notice to its members. Notice may be published on the WWBT Internet site at https://wildwestbasstrail.com. Interpretation and enforcement of these rules shall be left exclusively to the Tournament Director or his/her designee at a tournament. Reduction of competition hours as determined by the Tournament Director. Loss of catch for the day of the violation. Disqualification from the current tournament. Forfeiture of prizes and entry fee. Disqualification from future WWBT events, which may be a specific number of events, a specific period of time, or lifetime disqualification. 2 The decision of the Tournament Director, his/her designee shall be final in all matters. In all cases, the Tournament Director and WWBT have the sole discretion to determine whether they or the Advisory Board and/or Rules Committee shall be responsible for adjudicating any given issue or dispute. Subject to the appeal process set forth in these rules. The decision of the Tournament Director, his/her designee, or the rules committee shall be final in all matters. WWBT contestants are required to police themselves each competition day. If contestants have a concern regarding their catch, they should not present their catch. They must consult with the tournament director immediately. 3 FISHING HOURS: Fishing hours will be posted on the Tournament Information Page or announced at the tournament briefing. 4 PARTICIPANTS AND ELIGIBILITY: This tournament is open only to current members of WWBT; who are 18 years of age or older (Boater Team). Contestants must show written proof of college enrollment at the time of entry. This can be in the form of transcripts, class schedule, or other official school documentation. Each contestant must be enrolled in a minimum of 9 semester units. Contestants do not have to be enrolled in the same college. 5 MINORS: Contestants under the age of 18 may enter the (Non-boater Team) with signed approval from their legal guardian. Proof of age to the tournament officials is the responsibility of the potential contestant. Any candidate for competition who, in the judgment of the Tournament Director, is impaired in such a manner as to endanger the safety and well-being of their partner or themselves may not be eligible. 6 MEMBERSHIP: WWBT membership is required to fish all WWBT events. Failure to have an active/paid membership is grounds for disqualification. WWBT reserves the right to refuse and/or revoke memberships without cause, reason and/or explanation and without recourse at our own discretion. Membership does not guarantee the ability to enter a tournament. Memberships are valid for the tournament calendar year. Note: A tournament calendar year may start in the fall prior. The membership fee is $60.00 per contestant per year. 7 LIABILITY INSURANCE: During the open practice and competition days of any WWBT tournament, no contestant may operate a boat unless that contestant has documented proof of a minimum of $300,000 per occurrence boat owner’s liability insurance (see participation agreement for full details) covering the boat being used in the tournament. Proof of insurance must be with the boat being used and must cover all passengers in that boat. 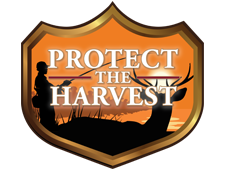 Random checks may be conducted and any contestant who does not have proof of valid insurance with $300,000 coverage may receive loss of 15 minutes of fishing time or be disqualified. 8 FIRST ENTRY DEADLINE: First Entry deadline via mail/phone is 5:00pm local time or online/APP entries until 11:59 PM Tuesday prior to the event to be paid in full. Any entries after COB on this date will incur a $25 late fee. Check the WWBT website for all deadline dates. WWBT ENCOURAGES CONTESTANTS TO UTILIZE ONLINE/APP OR PHONE METHODS TO SUBMIT PAYMENTS. Checks will be accepted; however, it is the responsibility of each contestant to follow up with WWBT if they have submitted an entry via USPS mail. All USPS entries must be received by the WWBT office by the published deadline date. Contestants are encouraged to pre-sign for events giving them priority entry and greatly helping the tournament organization with preparation details. 9 FINAL ENTRY DATE: Morning of the event will incur a late fee. 10 WAIVER AND RELEASE: As a condition of participation in each tournament, each contestant must execute a waiver and release of liability and a name and likeness release. 11 PRIZES: Prizes will be awarded after the tournament. Contestants must be present and able to hear their names called at the official weigh-in to be eligible for contingency prizes. 12 OFF LIMITS PRACTICE: QUALIFYING EVENTS: The off-limits period for College WWBT events shall be six (6) consecutive days prior to the event. This period will be concurrent with the WWBT Team events off limit period. Participants may be a contestant in any WWBT event during this time. SEE WWBT WEBSITE FOR OFFICIAL DATES FOR EACH EVENT. CHAMPIONSHIP – Tournament waters shall be off-limits to all contestants at 12:01 AM local time 10 days prior to the first open practice date in all WWBT Championship events unless otherwise notified by WWBT. SEE WWBT WEBSITE FOR OFFICIAL DATES FOR EACH EVENT. CHAMPIONSHIP- There will be an open practice period immediately prior to the first competition day of the tournament. SEE WWBT WEBSITE FOR OFFICIAL DATES FOR EACH EVENT. No contestants will be allowed on Tournament waters after registration until the first day of competition. Unless otherwise specified, all official times are specific to local host community. The contestant must know and observe these dates. During both the open practice and the tournament, a contestant may not have the assistance or advice of anyone other than another confirmed contestant for the purposes of locating or catching bass, nor enter the tournament waters with anyone who has been on the tournament waters during the off-limits period including, but not limited to, a professional guide, state or federal wildlife agency employee, or any other person deemed an “expert“ on these tournament waters by the Tournament Director, unless they are a contestant in the tournament. Flying over tournament waters or the use of drones during the off-limits period, open practice and competition is not allowed. 13 NO INFO RULE CHAMPIONSHIP: WWBT COLLEGE TEAMS HAVE A NO INFO RULE AND A STRICT OFF-LIMITS PERIOD. REGARDLESS OF WHEN A CONTESTANT ENTERED THE EVENT, THEY MUST HAVE ADHERED TO THE OFF-LIMITS PERIOD AND THE NO INFORMATION RULE. BY SIGNING THE WAIVER AND ENTRY FORM EACH CONTESTANT IS ATTESTING TO ADHERING TO THE NO INFO AND OFF-LIMITS RULE. Other than using publicly available information (e.g., newspaper and Internet reports) contestants cannot solicit, receive, or gather any information via phone, electronic devices, or any other means about locating or catching fish on tournament waters. All information must be accessed prior to official off limits periods. THERE SHALL BE NO EXCEPTIONS. During open practice (CHAMPIONSHIP) and competition day(s) contestants cannot solicit, receive, or gather any information from anyone other than another contestant in the tournament. NO INFO RULE AT QUALIFIERS/CHAMPIONSHIP: WWBT HIGH SCHOOL ANGLERS WILL NOT BE ABLE TO RECEIVE INFO OR ASSISTANCE FROM THEIR BOAT CAPTAIN. I.E WHERE TO FISH, WHAT BAITS TO USE ETC. IT IS THE RESPONSIBILITY OF THE ANGLERS TO DIRECT THEIR BOAT CAPTAIN TO TRANSPORT THEM TO THEIR DESIRED LOCATION. THE BOAT CAPTAIN WILL NOT PROVIDE ASSISTANCE OTHER THAN BOAT OPERATIONS TO THE PARTICIPANTS ON HIS/HER BOAT. 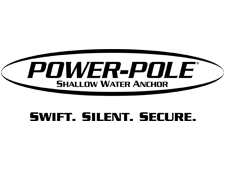 14 FISHABLE WATERS: Fishing within 50 feet of an operating gas pump/dock or within 50 feet of a competitor’s boat, which is first anchored, is prohibited (Trolling motors must be in up position, anchor rope visible, or shallow water anchoring system deployed to be considered anchored). A safe and courteous distance (50 feet) should be maintained when trolling motors are in use. Boats may fish anywhere except areas designated as “off limits” or “no fishing” by Local, State or Federal officials or as posted on the Tournament Information page or announced by Tournament Director. Tournament waters shall be established by the Tournament Director for each tournament. Any water within these boundaries posted “Off-Limits” or “No Fishing” by state or federal agencies will be OFF- LIMITS and will be announced at the Tournament Briefing. Only water open to all public fishing will be considered tournament waters. Contestants may not cut, dig, or remove obstructions requiring the use of any tools once the off-limits period begins all the way through the conclusion of the event to access any water. Contestants may not have a non-contestant cut, dig, or remove any obstructions once the off-limits period begins all the way through the conclusion of the event to access any water. Contestants may not have the assistance of another boat, person, or apparatus (push poles are allowed) to access any water. Contestant’s boats must access fishable water under its own power and only with the assistance of the anglers assigned to that boat. All angling must be done from the boat. Prior to the tournament registration, any questionable areas must be brought to the attention of tournament officials to be considered tournament waters and may be announced in the briefing for all to hear. 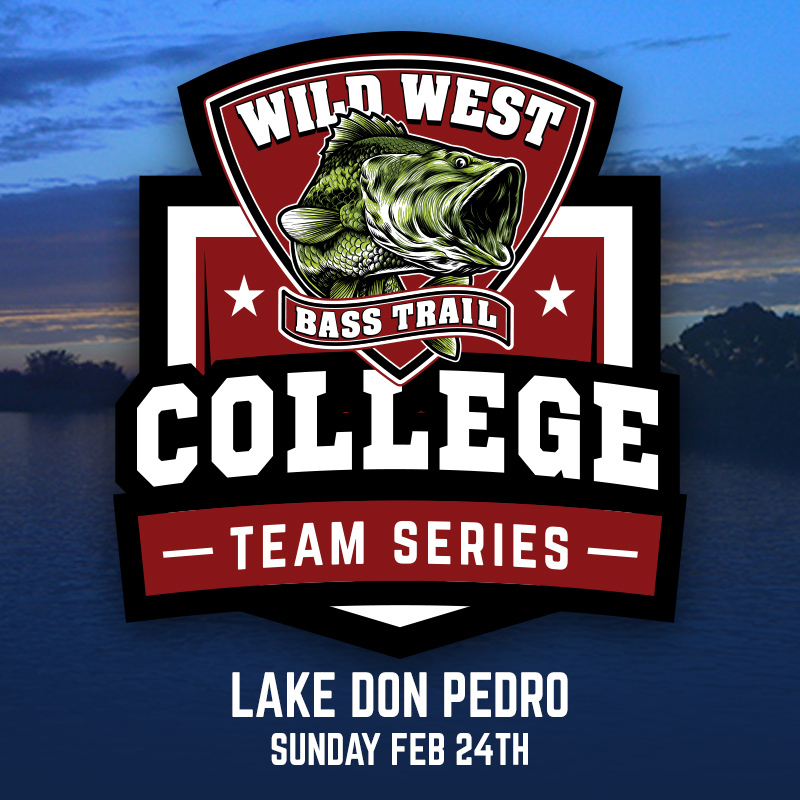 Contestants must fish in an area that is accessible by WWBT staff, media, and camera personnel as deemed by the tournament director. As a general rule WWBT views this as a 20-foot fiberglass bass boat similar to a Ranger Z520L with the motor trimmed down under its own power. If contestants have any questions they must approach the tournament director. Any violation of off-limits water will result in disqualification. Tournament officials reserve the right to restrict or enhance tournament waters based on conversations with local authorities. 15 SHARED WEIGHT FORMAT: Only Largemouth, Smallmouth, Spotted, and Redeye bass will be weighed. The limit shall be Five (5) of the above species and varieties per day, unless otherwise specified by tournament officials. As soon as a contestant has caught one more fish than their tournament limit, they must cull a fish immediately to reduce their catch to the tournament limit. A contestant must not allow any bass caught by him/her to be counted on the score of another team. In such a case, all contestants involved shall be disqualified from this tournament and from all future tournaments conducted by WWBT. 16 COMPETITION DAYS: (Qualifying events) will span one (1) day with the full field. 17 CHAMPIONSHIP COMPETITION DAYS: WWBT will span two (2) competition days. C Binoculars are not allowed in the boat at any time. D Contestants must have a valid fishing license for all tournament waters. E No contestant may buy or barter a fishing location from any other contestant for use during any competition day. F Contestants renting boat slips may launch boats and proceed immediately to slip location. 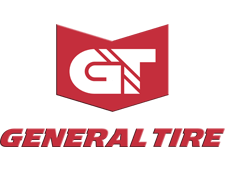 G Testing of engines during off-limits period is not permitted on tournament waters. K During the official competition days of the tournament, a contestant may not use a CB radio, a VHF marine band radio, a cellular phone, or any other type of communication device for the purpose of locating or catching fish. Contestants are permitted to transmit by radio or telephone only in the event of an emergency. If so equipped, contestants may listen to the marine-band weather information. L Contestants are allowed to call lockmasters for locking purposes only. M In all cases where communications are initiated by a contestant, the Tournament Director must be called prior. A voicemail or text message may constitute such communication. N A designated tournament official must be granted access to the contestant’s boat at any time during the open practice or competition days. Failure to grant such access may result in immediate disqualification. O Nothing can be placed in to the water to attract baitfish, any type forage. This includes but not limited to: structure, dog food, fish habitat, bait balls or any substance that would enhance or hold fish in a particular area once the off-limits period begins and all the way through the conclusion of the event. P Any other special rule as deemed by the tournament director and announced prior to blast off. VIOLATION OR INFRACTION: EACH CONTESTANT AGREES TO REPORT TO THE TOURNAMENT DIRECTOR IMMEDIATELY ANY VIOLATION OR INFRACTION OF ANY TOURNAMENT RULES. PROTEST AND REPORTING PROCEDURE: ALL PROTESTS MUST BE BROUGHT TO THE TOURNAMENT DIRECTORS ATTENTION VIA VERBAL NOTIFICATION AND THEN SUBMIT A WRITTEN PROTEST WITHIN THIRTY (30) MINUTES OF THE LAST FLIGHT CHECK-IN TO THE TOURNAMENT DIRECTOR OR DESIGNATED TOURNAMENT OFFICIAL. THE PROTESTOR ALSO AGREES THAT IF THERE IS A QUESTION WITH REGARDS TO VERIFYING THE PROTEST, THEY MAY BE SUBJECT TO A POLYGRAPH EXAM AND AGREE TO TESTIFY IN A COURT OF LAW IF NECESSARY. POLYGRAPH: By signature on the WWBT Series participation agreement or the official entry form, each contestant agrees to submit to a polygraph examination and abide by its conclusion should he/she be accused of any rule violation. The WWBT Tournament Director or rules committee or such person designated by the Tournament Director shall have the discretion to determine the need for a polygraph examination. The WWBT Tournament Director or his/her designee shall be responsible for selecting an independent expert to administer and interpret the results and establishing, in consultation with the expert administrator, the scope of the questions which may be asked during the polygraph examination. The WWBT Tournament Director or his/her designee shall attempt to have the location of such polygraph examination as close in proximity to the angler’s permanent address or such other mutually convenient location as possible. The contestant shall make himself/herself available at the location selected by the Tournament Director and shall cooperate in all respects with such examination. In the event of polygraph examination, contestants may have tournament prizes withheld until such testing has been concluded. REGISTRATION: Each contestant must register in person with official WWBT staff at the time and place designated in the schedule of events. Any contestant who has not contacted the WWBT Tournament Director 15 minutes after the closing of the posted on site registration, may be disqualified from participating in the tournament and his/her entry free forfeited. It shall be each contestant’s responsibility to check the schedule of events or registration time and location or obtain times from the WWBT tournament department. SAFETY: Safe boat conduct must always be observed by contestants. During competition, each boat passenger must wear a Coast Guard-approved chest-type life preserver anytime the combustion engine is operating. This preserver must be strapped, snapped or zippered securely and maintained in that condition until the combustion engine is shut off. Inflatable life vest indicators should be checked daily. Violation of this rule shall be reason for disqualification. Teams are encouraged wear/carry two Coast Guard approved chest type life preservers per boat. It is suggested the contestants conduct a safety check each day prior to the launch to familiarize the location of all safety equipment. Tournament officials have the right to delay, shorten or cancel the start of an official tournament day because of bad weather or other factors that would endanger the safety of the contestants. Tournament waters may also be restricted at any time because of bad weather. Weather delays on competition days resulting in half of the tournament day being lost (first flight take-off and check-in) may result in cancellation. WWBT reserves the right to impose boat speed limits during any or all tournaments. Whether or not to impose a speed limit, the area covered by the speed limit and/or the actual speed limit imposed shall be left exclusively to the discretion of the Tournament Director. IN THE EVENT OF AN EMERGENCY SITUATION, CONTESTANTS SHOULD CALL 911 FIRST AND ONCE SAFE, NOTIFY TOURNAMENT OFFICIALS AS SOON AS POSSIBLE. CONTESTANTS ARE ALLOWED TO LEAVE THE BOAT AND SEEK SAFE SHELTER IN BAD WEATHER WHERE DANGER MAY BE IMMINENT. ANGLER CODE OF CONDUCT AND SPORTSMANSHIP: Contestants participating in any WWBT event shall abide by this code of conduct and the applicable rules for the event in which they are participating. Contestants shall, at all times, conduct themselves in a manner becoming of a professional that will not reflect unfavorably on WWBT, its members, sponsors, events or representatives. The favorable public reputation of WWBT as an organization in the sport of fishing, the integrity of its officials, and the reputation of its media properties are valuable assets and tangible benefits for WWBT. It is an obligation of contestants to refrain from public comments that unreasonably attacks or disparages the integrity of tournaments, tournament officials, sponsors, fellow members, fellow contestants or the WWBT organization. Public comments that an angler knows, or should reasonably know, will harm the reputation of WWBT, WWBT officials or sponsors shall be considered unacceptable conduct and may result in disciplinary action, including but not limited to, permanent removal from all WWBT events. Contestants will refrain from arguing, yelling, demeaning, using profanity, or challenging any tournament official. Anglers will be notified of any known rules infractions at the moment they are discovered or as soon as they are ruled upon by the tournament director. Contestants shall demonstrate professionalism and integrity in support of the sport of professional fishing. Any angler who violates any portion of the Angler Code of Conduct may be subject to sanctions including but not limited to permanent disqualification. PUBLIC CONDUCT, SPORTSMANSHIP AND COMPETITIVE INTEGRITY: Contestants in WWBT tournaments are expected to follow high standards of sportsmanship, courtesy, safety and conservation. Contestant agrees that the integrity and competitive honesty of fishing contests is paramount to any bass fishing tournament circuit’s continued existence and success. Contestants compete in WWBT contests at the sole discretion of WWBT. The WWBT reserves the right to refuse service to any potential contestant and enforce its tournament rules, including but not limited to this Rule and the Angler Code of Conduct and Sportsmanship Rule, at its sole discretion. ALCOHOL OR DRUGS: Use of alcohol or drugs (other than those purchased over the counter or prescribed by a licensed physician) by any contestant during the open practice or during the tournament will not be tolerated and shall be cause for automatic disqualification from this and all future WWBT tournaments. No alcoholic beverages, other stimulants or depressants, prescription or otherwise, shall be allowed in the boats during the open practice or competition days or when in the weigh-in area. Any contestant(s) deemed under the influence by the tournament director may be disqualified. 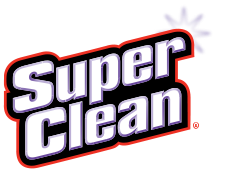 Chemical substance addiction or abuse, conviction of a felony or crimes involving moral turpitude or other conduct reflecting unfavorably upon efforts to promote safety, sportsmanship, fair competition and compliance with tournament rules shall be grounds for rejecting any application for participation and/or for disqualification after circumstances are reviewed by the Tournament Director. TOBACCO PRODUCTS: The use of any tobacco products or smoking prior/during takeoff, from check-in through weigh-in, and while cameras are present is prohibited. MAXIMUM COURTESY: must always be practiced, especially regarding boating and angling in the vicinity of non-contestants who may be on tournament waters. Any act of a contestant which reflects unfavorably upon efforts to promote fisheries conservation, clean waters and courtesy shall be reason for disqualification. All contestants are bound by the prevailing statutes and regulations of the various states within which they fish. Contestants are responsible for research of fishing and boating regulations. DISQUALIFICATION SUSPENSION: Any disqualification suspension from or other disciplinary action regarding any tournament or fishing organization shall be grounds for rejecting any application for participation in a WWBT tournament and/or disqualification from a WWBT tournament after circumstances are reviewed by the Tournament Director. A written statement may be accepted by the tournament director from any contestant in question. TACKLE AND EQUIPMENT: Only artificial lures and biodegradable artificial lures may be used. No “live bait” or “prepared bait” will be permitted during open practice and competition, except for pork strips or rinds. Only ONE (1) casting, spin casting or spinning rod and reel may be used at any one time. Other rigs as specified above may be in boat ready for use; however, only ONE is permitted in use at any given time. All bass must be caught live and in a conventional sporting manner on each day of competition. PERMITTED FISHING METHODS: Fishing is defined as having a lure attached to a line and a rod and reel with the rod in hand. All lures must adhere to state regulations. Alabama rigs and similar umbrella type rigs are limited to a maximum of five wires, five lures and three hooks (single or treble) unless state regulations are more restrictive, in which case state regulations prevail. RECEIVING, ACCEPTING OR TAKING OF FISH FROM ANOTHER PERSON: during tournament hours is strictly prohibited. Stringers, ropes, caging, barrels or use of any other type of device to hold fish with the intent of catching or utilizing them to count for your or anyone else’s daily catch is prohibited. Adding weight in any way to alter the natural state of any fish caught is prohibited. Moving or “stocking” fish from one location to another is prohibited. VISIBLE FISH: Anyone guilty of snatching or snagging visible fish will have their catch disqualified. When visually fishing a bed or for bedding bass, to be counted as a legal fish, all bass must be hooked inside the mouth and must be verified by your partner before being unhooked. 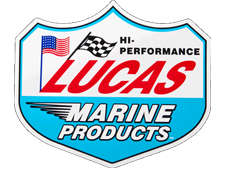 HORSEPOWER REGULATIONS: MAXIMUM HORSEPOWER FOR ALL OUTBOARD MOTOR BOATS USED IN OPEN TOURNAMENT PRACTICE AND IN TOURNAMENT COMPETITION WILL not exceed the limitations set by the U.S. Coast Guard. Each boat must have a U.S. Coast Guard horsepower rating plate attached to the boat by the manufacturer. Changing or altering standard factory parts of a contestant’s engine to increase the horsepower over the factory horsepower rating is forbidden and will result in disqualification. BOAT AND MOTOR: For the safety of all contestants during open practice and competition, ALL BOATS MUST BE MINIMUM OF 16 FEET IN LENGTH, PROPELLER DRIVEN AND EQUIPPED WITH AN APPROVED OPERABLE IGNITION KILL SWITCH AND LANYARD. No jet-propelled boats. No “barges” or similar craft will be permitted. NO BOAT EQUIPPED WITH “STICK STEERING” SHALL BE PERMITTED. “Stick steering” shall be as defined by the Tournament Director. MANUFACTURER’S LANYARD/KILL SWITCH: Must be attached to the driver’s body any time the combustion engine is operating. Any time the combustion engine is operating and in gear there must be a driver in the driver’s seat in full control of the boat. NO RAISED PLATFORMS: decks, or other non-factory installed standing platform may be used in the boat. Standing on the outboard engine or seats while fishing is not allowed. An electric trolling motor may be used for slow maneuvering. However, trolling as a method of fishing is prohibited. ALL BLADDER TANKS AND AUXILIARY GAS: Any other type of AUXILIARY gas tanks that are not installed by the boat manufacturer are prohibited. Additional gas tanks that are factory options and installed by a manufacturer’s authorized dealer are permitted. Boats that do not have factory installed gas tanks are restricted to a maximum of 18 gallons of gasoline in tanks that meet U.S. Coast Guard regulations. Gas tanks must be properly secured or strapped in a boat. No portable gas tanks or containers capable of holding gasoline can be placed anywhere on the tournament waters or shoreline for use by any tournament contestant. Gas must be purchased from a retail gas station. BASIC BOAT EQUIPMENT: During open practice (Championship) and competition, every boat must have all required Coast Guard safety equipment as well as a functional bilge pump. During open competition every boat must have LIVEWELL SPACE, PROPERLY AERATED, TO ADEQUATELY MAINTAIN ALIVE A LIMIT CATCH OF BASS FOR TWO CONTESTANTS. WWBT recommends live wells be maintained at full level and aerators/recirculators on manual. Tournament officials shall have the sole responsibility for determining whether aeration and capacity is proper and adequate. BOAT IDENTIFICATION: Prior to each day’s start, each boat MUST be given an inspection check by a tournament official. Teams will be assigned a boat number according to their take off position. CONTESTANTS MUST REMAIN IN BOAT: During the competition days; contestants must not depart the boat to land fish or to make the boat more accessible to fishing waters. Boats must remain in tournament waters during tournament days. Contestants must leave from and return to official checkpoints by boat. Contestants must always remain in the boat except in case of dire emergency. There are then two permitted methods of returning to the check-in: (1) by both anglers remaining in their boat and being towed by water, or (2) by one or both anglers entering the boat of another tournament contestant. Boats must be properly secured and stationary. Contestants must notify the tournament director as soon as possible. Under these two conditions contestants’ catches may be counted without a penalty (except for late penalties, dead fish penalties or other penalties pertaining to other tournament rules). Encouraged to be a coach/mentor first and foremost with the primary goal of helping young anglers learn and demonstrate exemplary sportsmanship. May demonstrate but may NOT assist anglers in tying on lures/baits, casting, reeling, hooking, landing, or netting of any fish during any portion of the competition. May assist contestants in removing backlashes or dislodging snagged lures/baits. Will observe contestants for safety measures, following of rules, and ethical behavior. In the case of emergency, will contact the tournament director. Have proof of the minimum liability insurance as described in rule #7. At no point may a boat captain place any fish caught by him/her into the live well to be weighed in by the team. The boat captain is not allowed to give advice or guide on areas of the lake or lures to use. RESTROOM BREAK: In the event of a needed restroom break partners can leave the boat. REPORT AN EMERGENCY OR BREAKDOWN: Contact a tournament official by phone or other means or to report an emergency or breakdown, contestants must cease fishing at this point and their catch must be verified by a tournament official in order to be counted in the tournament. If after the emergency situation is resolved by tournament officials and enough time is left for the contestant to resume fishing, a RESTART may be allowed, and the contestant will continue, and their catch will be counted. This applies only to emergency situations as determined by the Tournament Director or his designee. TOWING BOATS: On trailers during tournament hours is prohibited, except by the direction of tournament officials. When partners check out at the beginning of the day, they must stay together and within sight of each other and their catch throughout the day except in case of emergency. OFFICIAL CHECKPOINT: There shall be only one official check point for check-out in the morning, and one official check-in point in the afternoon which will be designated at the tournament briefing. Failure to go through boat check and check-out in the morning or failure to check-in at the check-in point in the afternoon may result in disqualification. At the time of check-out, all contestants and their boats shall be in full conformity with all rules set forth by the Tournament Director. At check-in, all boats shall identify themselves by means of the numbers described in and proceed immediately to the designated weigh-in area. Operational navigation lights must be illuminated from takeoff to the first stop of each day. Contestants who do not display operational navigation lights will be moved to the end of the blast off line. Their check in time will remain the same. SCORING: Tournament standings and final winners shall be determined by the total weight of each contestant’s catch during the competition days of the tournament. THE OFFICIAL LENGTH FOR BASS: Shall be determined by the Tournament Director and announced at the Tournament Briefing. THE OFFICIAL LENGTH FOR BASS SHALL BE 13” UNLESS DICTATED OTHERWISE BY LOCAL REGULATIONS. ALL BASS WILL BE MEASURED ON A FLAT BOARD WITH THE MOUTH OPEN. ONLY BASS AS DESCRIBED ABOVE WHICH MEASURE THE OFFICIAL LENGTH OR MORE ON THE LONGEST STRAIGHT LINE WITH THE TAIL PINCHED OR SWISHED SHALL BE WEIGHED. Bass presented for weigh-in which fail to measure the official length shall result in loss of that bass and a penalty of one (1) pound for each such bass presented. Penalty shall be deducted from the total score of the contestant. Any bass that appears to have been mangled, mashed, mauled or otherwise altered may be weighed and credited only at the discretion of tournament officials. MUST PRESENT ALL LEGAL FISH: after contestants check in at the official checkpoint they MUST present all LEGAL fish in their possession to a tournament official to be counted, measured and weighed. Contestants may not cull or discard any fish in their possession once they have checked in at the check-in point. Once a contestant’s catch is measured, counted and verified by a tournament official, that contestant may not return to the boat until their catch has been weighed and recorded. CULLING TAGS: or clips are allowed. Specially designed bags which increase survival rate will be furnished by the Tournament Director and must be used for the weigh-in. CATCH AND RELEASE: CULLING OF DEAD BASS IS PROHIBITED. No dead bass will be eligible for Big Bass awards or prizes. For each legal dead bass presented to weigh-in officials, the contestant shall be penalized 0.25 pounds per dead fish to be deducted from their daily score. Dead fish determinations will be made by WWBT staff member(s) in charge of the bump tank. Contestants will not argue, yell, demean, use profanity, or be disrespectful in any way toward this ruling. The Tournament Director or his/her designees shall have sole authority for assessing penalty points. LATE PENALTY: Contestants who are not at the official check-in point, as described at the appointed time shall be penalized at the rate of one (1) pound per minute late to be deducted from the total weight of his/her catch that day, including any weight to be counted toward a “big bass award.” Any contestant more than 15 minutes late shall lose all credit for that day’s catch to include point’s credit. There shall be no excuse for tardiness and in no case shall a contestant be allowed to make up “lost time.” After proper recognition at the check-in point, contestants will be allowed ample time to proceed to the weigh-in site; however, all fishing must cease upon check-in. After the tournament begins, fishing the tournament waters is prohibited except during tournament hours. Exact starting and check-in times will be announced at the Tournament Briefing. It is the angler’s responsibility to confirm check-in times each day. RULE OF TIME KEEPING: The official time is always kept by the Tournament Director once open practice has begun. For the rule of time keeping until the official clock reads the following minute, contestants are not considered late for that minute in question, i.e., 3:00:59 is not considered late. 3:01 is considered one minute late, etc. 250 POINT SYSTEM FOR ALL WWBT SERIES: One Point System per Place – Points for each event will be based on a 250-point scale. All contestants will receive 50 “participation” points. Must weigh a legal fish per tournament to receive AOY points for that event. 50 participation points will be awarded to all contestants. California College Teams AOY will be determined by the highest 4 finishes. Ties – Refer below. Standings will reflect ties starting at place closest to first. End of year point tiebreakers shall be total weights from full field days for season. 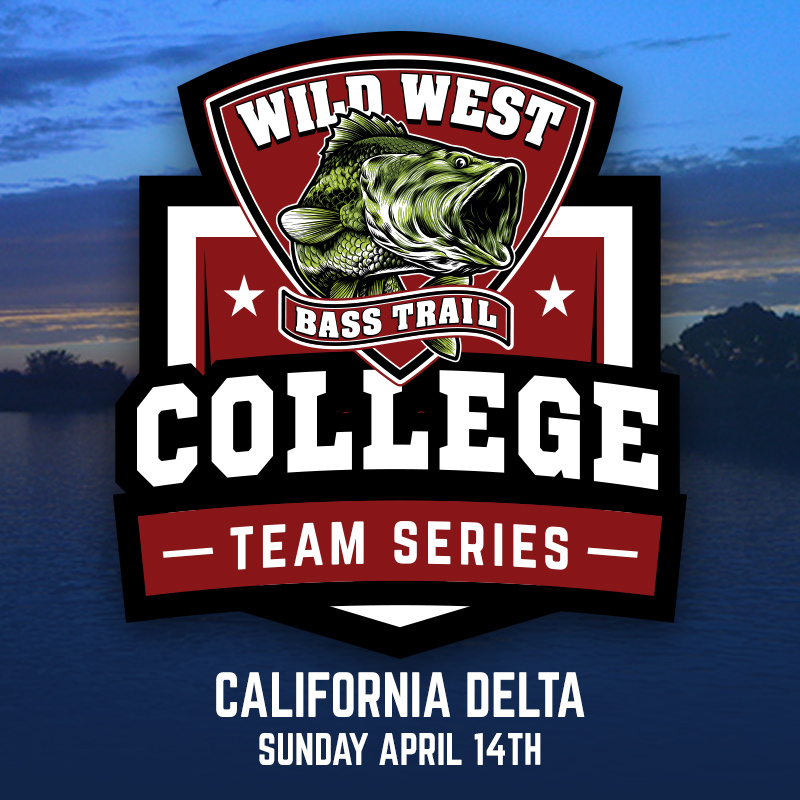 California College Teams The top 10 teams based on the Angler of the Year (AOY) points from each division will receive an invitation to that divisions Championship Invitational. There are no throw outs for WWBT Team Events. 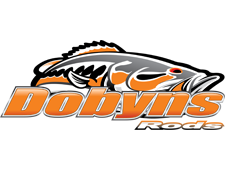 WWBT reserves the right to work down the AOY list to ensure a full field at the Championship Invitational provided those teams fished in the maximum number of events offered by WWBT for each respected division. 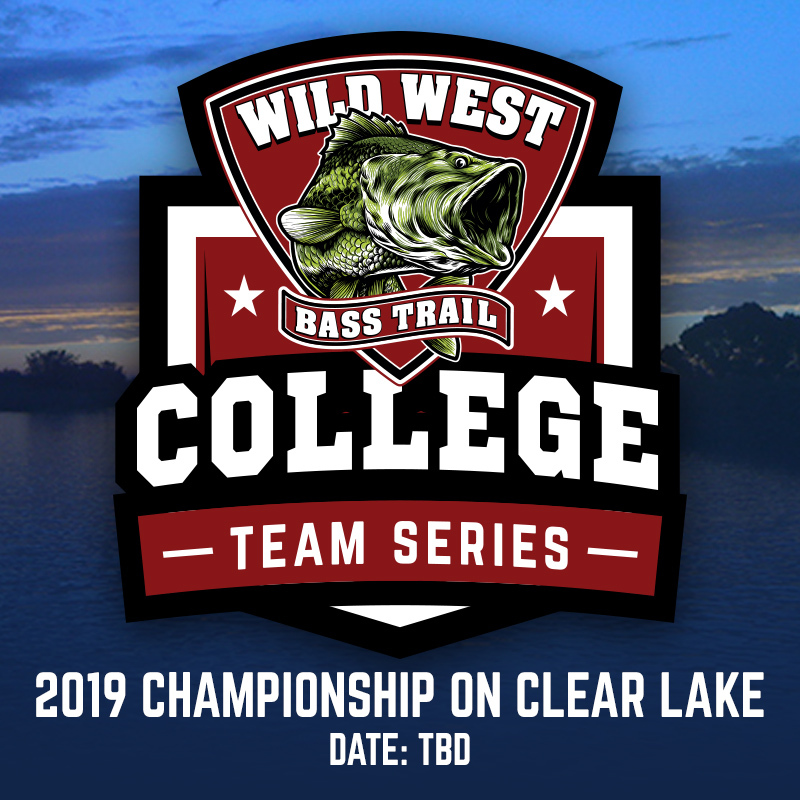 WWBT reserves the right to invite sponsor exemptions for the Championship Invitational provided those teams fished in the maximum number of events offered by WWBT for each respected division. TEAMS MUST HAVE BOTH TEAM MEMBERS AT 2 OF THE 3 OF THE QUALIFYING EVENTS to accrue AOY Points. TIES: In regular season events will remain a tie. Monetary prizes for each contestant will be awarded in equal amounts. Angler of the Year points will be awarded for the place of the tied position and each contestant will be awarded equal points. Big Fish- In the case where two contestants are tied with the weight of a big fish. WWBT will combine the payout for those places and divide them equally by the tied contestants. I.E. If 3rd is to be paid out $500 and 4th is to be paid out $700 and they are tied $500+$700=$1,200/2=$600 to be paid out equally. Plaques/trophies will be awarded based on which team weighed the bigger fish. If that does not determine the awards, it will be determined by heads/tails coin toss. CHAMPIONSHIP: In case of ties for the championship, the tiebreaker will be determined by the (1) largest single day’s weight, (2) if the tie is not broken, largest number of legal fished weighed during competition, (3) if the tie is not broken, the next tiebreaker will be the largest number of legal live fish weighed during competition, (4) if the tie is not broken, the next tiebreaker will be the AOY standings. If the tie is not broken by applying the foregoing procedures, the tie will remain a tie. Monetary prizes for each contestant will be awarded in equal amounts. Angler of the Year points will be awarded for the place of the tied position and each contestant will be awarded equal points. RULES VIOLATIONS AND APPEALS COMMITTEE: An appeals committee will be established by WWBT which shall be comprised of the tournament director and a minimum of 4 contestants from the advisory board in the event in question. Appeals for penalties assessed must be presented in writing 48 hours from the time and date of ruling to the Tournament Director. Appeals hearings shall take place within seven (7) business days from the date of receipt of the written appeal and all parties must make themselves available at prescribed time of hearing. 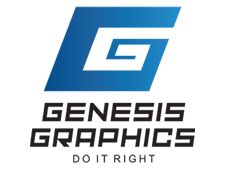 If contestants admit to a rules violation, they may not file an appeal of either the finding that they have violated the rules, or the penalty imposed for the violation. Decisions of the appeals committee shall be final. Contestants may be allowed to compete under appeal. However, penalties assessed will remain until final ruling by Appeals Committee. Contestants may be allowed to compete under appeal for penalties assessed until final ruling by Appeals Committee. Appeals of non-competition rulings must be presented in writing to the Tournament Director within 48 hours from the time and date of ruling for review. MEDIA: All official contestants of an event are required to cooperate with the media personnel that cover the event. Contestants do not have the option of not being filmed or interviewed during the official event days. WWBT personnel must be granted access and be able to board any contestants boat at will. Any act deemed by WWBT officials to have the intention of preventing media coverage will result in disqualification from the event. 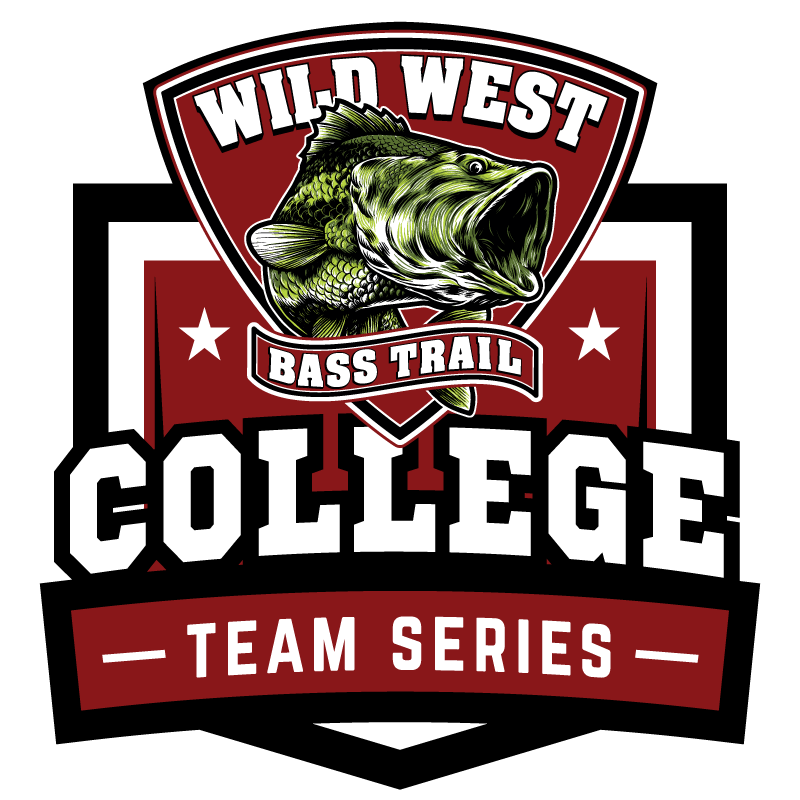 Contestants must fish in an area that is accessible by WWBT staff, media, and camera personnel as deemed by the tournament director. 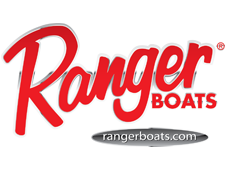 As a general rule WWBT views this as a 20-foot fiberglass bass boat similar to a Ranger Z520L with the motor trimmed down under its own power. If contestants have any questions they must approach the tournament director. 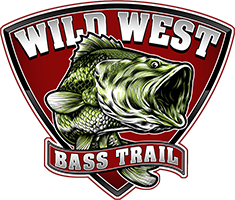 WILD WESTBASS TRAIL MOBILE APP: All contestants with a smart phone capable of downloading the WWBT mobile app must download the APP. The WWBT mobile APP allows WWBT officials to communicate with all its contestants. From the morning launch through check in all WWBT contestants must have locations services for the WWBT APP turned on. This will allow WWBT officials to locate and communicate with you. On the final day the tournament director will check to ensure that all contestants are adhering to this mandate. 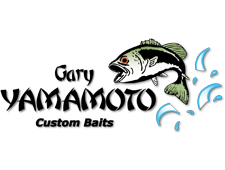 LOGOS AND/OR SIGNAGE: Contestants are encouraged to wear their own clothing which may bear patches, logos and other signage promoting the angler’s sponsors. WWBT may, however, restrict the use of patches, logos, signage, etc. which are, in WWBT’s sole judgment, in poor taste. WWBT will provide as much advance notice as possible to the contestants in such instances. Contestants are also encouraged to wear WWBT’s logo on their tournament jerseys. ADVISORY BOARD: An Advisory Board will be established by WWBT. WWBT will look to this board for their input on various items regarding tournaments and the contestants. This Advisory Board may be asked to help resolve appeals/protests with regards to rules violations. TAXES: Participants are responsible for all applicable taxes, execution of all tax forms and rules on both cash and merchandise awards. Various states require withholding tax on merchandise be paid upon the awarding of certificates and contestants awarded merchandise certificates in these various states are responsible for remitting this tax to WWBT. Failure to meet those obligations may result in reduction of Angler of Year Points, fines and/or disqualification from all future WWBT Events.